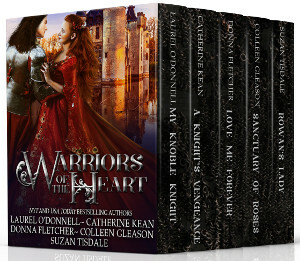 For this week’s Medieval Romance Monday we are featuring Warriors of the Heart – a fantastic new medieval romance boxed set featuring 5 medieval romance novels. It is available now on Amazon for only $0.99 cents! A LADY longs to try her skills by competing in the joust. A noble KNIGHT is sworn to the traditional ways of chivalry and to uphold the rules of the joust. 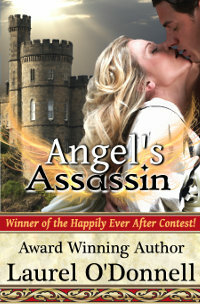 Can they work together to discover who is trying to sabotage him while keeping their growing attraction secret? 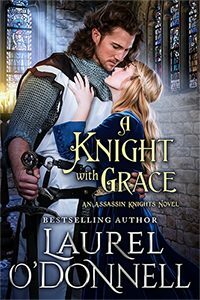 When Lady Elizabeth Brackendale is kidnapped and held for ransom by rogue knight Geoffrey de Lanceau, she vows to thwart his plans to exact vengeance upon her father. 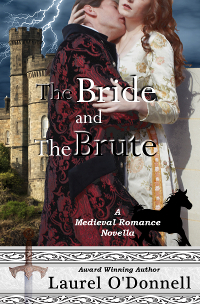 Yet the more she learns about Geoffrey, haunted by father’s killing, the more she yearns for him. 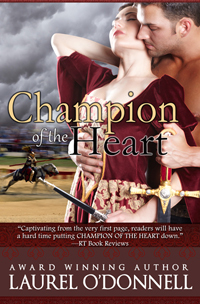 Only by Elizabeth and Geoffrey championing their forbidden love can they uncover the secrets that could save or destroy all. 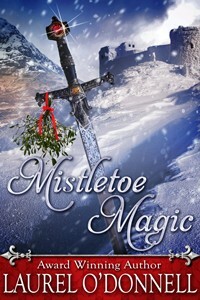 Brianna Cameron finds it difficult to trust any man, but the badly scarred Highland warrior is gentle and kind to her and helps to heal not only her physical wounds, but also her heart. 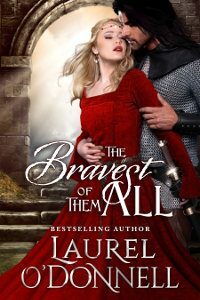 But Royce has a secret that could destroy their love and when danger threatens Brianna’s life, it’s the powerful Highland warrior who comes to her rescue and seals their fate. Madelyne de Belgrume has lived in secrecy in a hidden abbey for years. Her mad, abusive father, Fantin, believes she is dead. 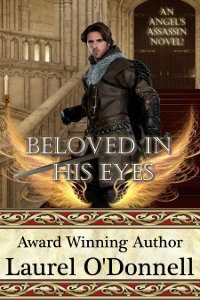 Lord Gavin Mal Verne wants nothing more than to seek revenge on Fantin de Belgrume … and he has the king’s blessing to bring the man to heel. 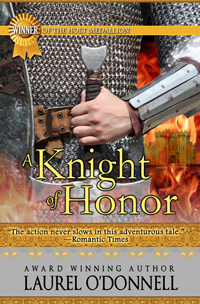 Gavin nearly dies after a battle with de Belgrume and he is found by a beautiful, serene nun who helps to heal him, touching his heart in more ways than one. When Gavin discovers the nun’s true identity as his enemy’s daughter, he gives Madelyne an impossible choice: she must either marry … or be returned to her father’s custody. He build impenetrable walls around his heart. She built her own. Fate brings those walls tumbling down, one tender heartbeat after another. 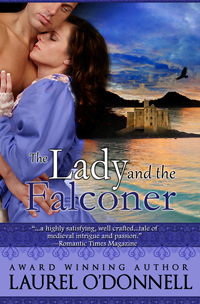 DONNA FLETCHER is a USA Today bestselling author of historical romances. Her books are sold worldwide. She started her career selling short stories and winning reader contests. 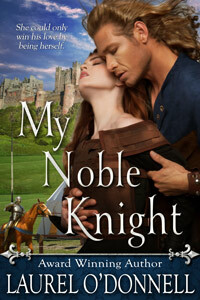 She soon expanded her writing to her love of romance novels. Visit Donna at her website www.donnafletcher.com. COLLEEN GLEASON is an award-winning, New York Times and USA Today bestselling author who writes novels in a variety of genres. 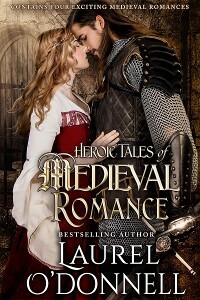 Historical romance is her first love, however, especially the medieval era. Colleen lives in the Midwest United States and is currently working on her next novel. USA Today Bestselling Author, storyteller and cheeky wench, SUZAN TISDALE lives in the Midwest with her verra handsome carpenter husband and the youngest of their four children. Her pets consist of dust bunnies and a dozen poodle-sized groundhogs – all of which run as free and unrestrained as the voices in her head.